With Philanthropy Australia recently updating its governance structure, Justice Connect lawyer Jacob Wood outlines the key differences to consider when choosing between an incorporated association or a company limited by guarantee structure. 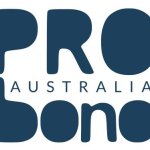 A common question asked of Justice Connect’s Not-for-profit Law service for community organisations is “What legal structure should I choose?”. Interest in whether an incorporated association or company limited by guarantee is the preferred structure for a community organisation has been sparked by the recent special resolution passed by members of Philanthropy Australia to change from an incorporated association to a company limited by guarantee. When starting a new organisation, usually the choice is between the federal structure of a company limited by guarantee, or a state-based incorporated association. Choosing the most appropriate structure can save you time and money in the set-up and day-to-day running of the organisation. Here are six key questions we ask our clients to help them work out what structure is right for them. What size and scope will the organisation have? Companies limited by guarantee can operate in multiple states and territories. This makes it an appealing structure for groups looking to have an impact in multiple states. Incorporated associations are restricted to their state or territory of incorporation unless they have additional registration with Australian Securities and Investments Commission (ASIC).This registration is straightforward, but has a $403 fee. What resources (money and people) do you have? Starting up an incorporated association generally costs less than a company limited by guarantee – incorporation costs range from $36 to $210 for incorporated associations (depending on which state/territory and whether the group is using a “model” constitution or rules). By contrast a company limited by guarantee costs $403. If you want to be an incorporated association operating nationally, you should also add the $403 it costs to register with ASIC. There are also differences in the amount of people that need to be involved. Some incorporated association regimes require a minimum of five members whereas companies limited by guarantee only need one member. Will you register as a charity? Registering as a charity with the Australian Charities and Not-for-profits Commission (ACNC) has a big impact on companies limited by guarantee – they stop reporting to ASIC and instead report to the ACNC. When a company limited by guarantee registers as a charity, different and less complex laws apply because large amounts of the Corporations Act 2001 (Cth) are “switched off”. This means a more flexible framework for holding meetings, free annual reporting and reduced record keeping requirements. It’s not all bad news for incorporated associations though – red tape reduction efforts in Tasmania, South Australia, ACT, Victoria and New South Wales means incorporated associations only have to report to the ACNC. The ACNC says that work to add Northern Territory to that list is “in progress”. Queensland and Western Australia have not signed on to date. How flexible are you looking to be? Incorporated associations in most states and territories are required to include certain matters in their governing document (usually called a constitution or rules). There can be flexibility in how groups address these matters, but they must be included. There’s also the benefit of template or “model” rules to adopt or use as a starting base. The flexibility and complexity of companies limited by guarantee differs depending on whether the organisation is a registered charity. Companies limited by guarantee that are not charities have to draft rules that meet Corporations Act requirements, and there are no templates provided by ASIC. Often groups pay for a lawyer to prepare a constitution. For charitable companies limited by guarantee, the ACNC has published a template constitution for groups to use or adapt. Is a different structure more suited to your organisation? Indigenous Corporations – A specialised legal structure for Aboriginal and Torres Strait Islander groups that takes into account Indigenous customs and traditions. Social enterprises may also look at alternative legal structures, including “hybrid” structures that include multiple legal entities. What else matters to your group? While this article touched on the main differences between the two structures, it didn’t have room to list them all! See Not-for-profit Law’s guide, Incorporated association or company limited by guarantee for the full run down. About the author: Jacob Wood is a lawyer at Justice Connect.